Mizuno Wave Hitogami 3 are neutral racing running shoes. 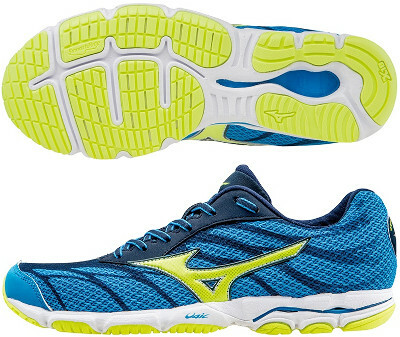 The Mizuno Wave Hitogami 3 is a prominent member of the racing running shoes establishment and therefore minimum changes take place in current third edition. The Hitogami 3 is a perfect choice for racing distances from 5k to marathon and speed workouts positioning itself between the radical Wave Ekiden and the versatile Wave Sayonara 3 whitin japanese brand's running shoes catalogue. One year after releasing its predecessor the Wave Hitogami 2, Mizuno focus on the upper with new (more breathable) mesh and more aggresive design where stitched logo reinforces structure and internal stripes (Dynamotion Fit™) provide a secure fit. Toe cap is now smaller to improve flexibility for smoother transition and there are not many reflective elements compared to its counterparts so take it into account when running under poor light conditions. Rest of Hitogami 3 remains the same with comfortable (although not soft) U4ic midsole compound combined with paralell Wave® technology in the heel to dissipate impact forces away when landing offering a reactive response. No changes as well in the outsole featuring reliable X-10 carbon rubber in high impact areas for longer durability and G3 Sole in the forefoot for enhanced traction in toe-off stage.